We drove through the night across the Oregon-California border. Though we didn’t have any, the attendant informed us weed was fine, but oranges were not (didn’t have any of those either). Once we got to the campground on Lake Shastina (a seasonal lake, currently dry), we were exhausted and just put the tent on the gravel, no stakes, no rain fly. When the alarm went off, it was still dark. Threw the tent in the car, and began the journey through the Shasta Cascades to Shasta-Trinity National Forest. 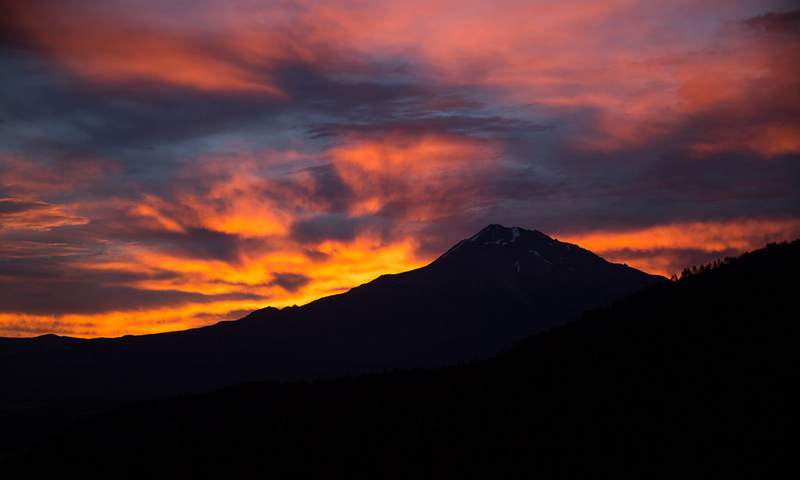 As we climbed, we caught a glimpse of Mount Shasta framed by the sunrise. You know when Google Maps cheerfully says “Follow Forest Route 42N17 for 29 miles”, it’s going to be a long morning. The road was narrow and winding, while the car panted on every uphill and roared as I engine-braked the downhills. Overtaking a group of hunters riding ATVs gave some respite from the monotony. 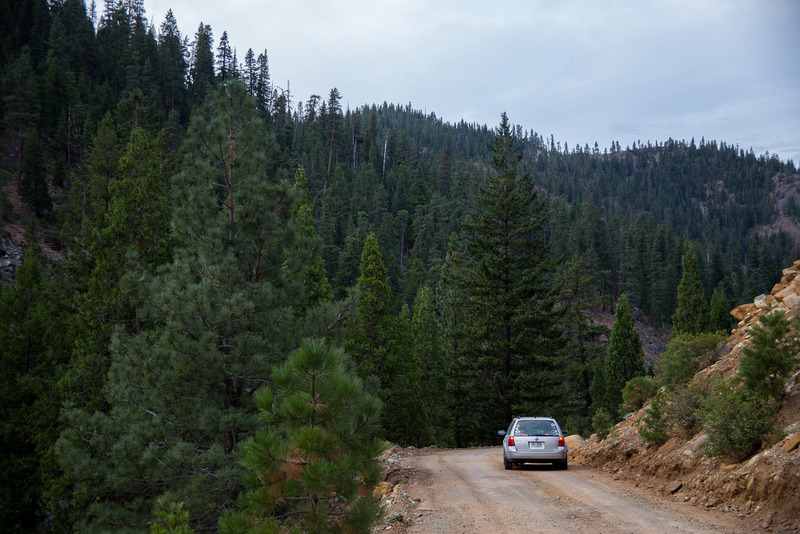 Eventually the road turned to dirt and meandered along a river…it felt like we had been swallowed by the wilderness. 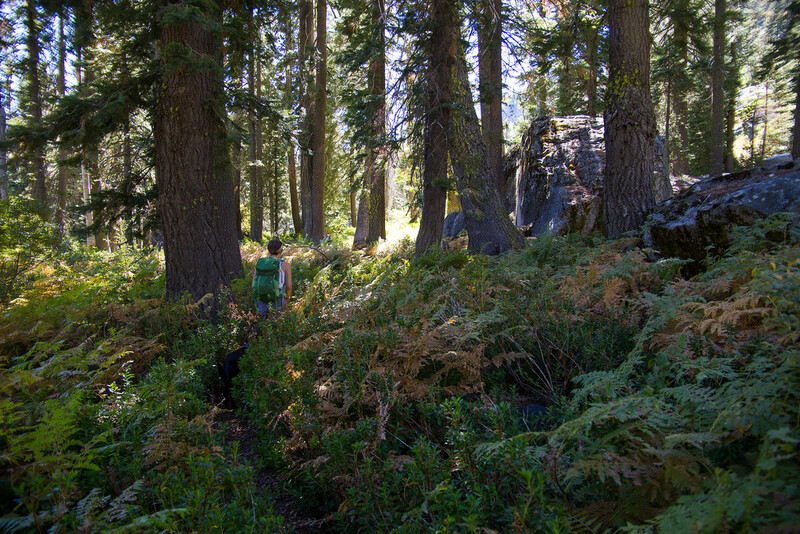 The trail wound through dry, old-growth forest carpeted with leaves and strewn with boulders. And swarms of annoying flies. 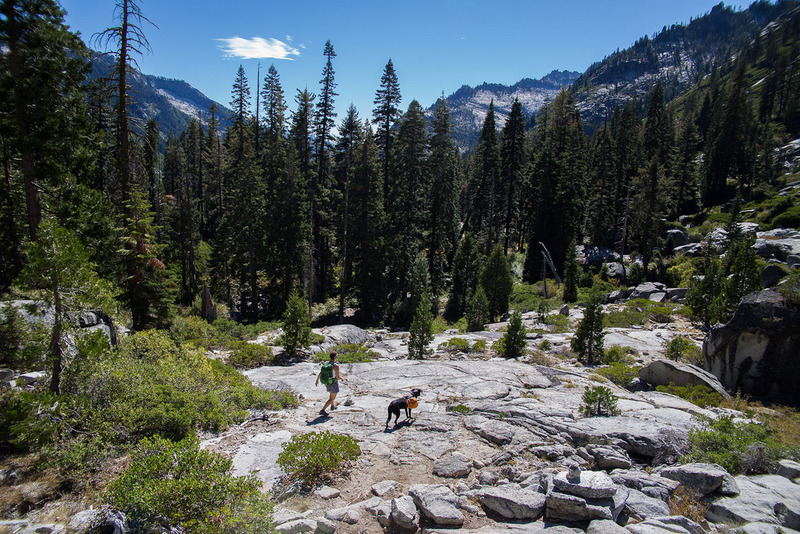 As the elevation increased, the trees turned to sparse pine, the flies disappeared, and all that was left was a beautiful valley of gleaming white peaks, verdant green, and deep blue water. Porter retrieved some sticks from the lake, I went for a very quick swim, and Becca took the opportunity to sunbathe in the California sun. On the way down we met a man who had family in Madbury, and wistfully recalled hiking in New Hampshire. He told us this was the best time to hike in California…it certainly seemed that way. When we got back to the trailhead, we had to figure out where we were spending the night. Unfortunately there was no cell service, which meant we couldn’t tether the laptop to the phone to research potential spots. So we hopped in the car and drove south, back to Weaverville, where we would presumably get a signal. Lo and behold, there was free, primitive camping (meaning no toilet facilities and no designated water supply) only 15 minutes further down the road! It also happened to be on the banks of the Trinity River, so we got to “shower” after our 16 mile hike. 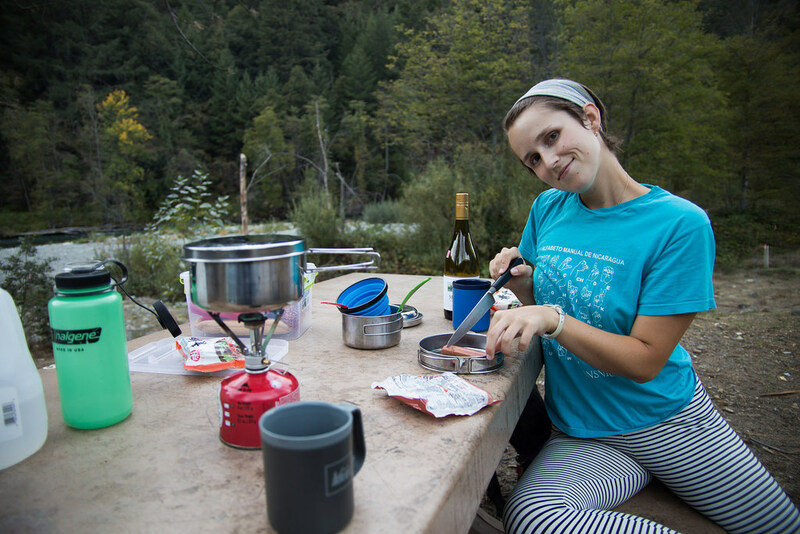 In true California camping fashion, we drank wine out of REI mugs. 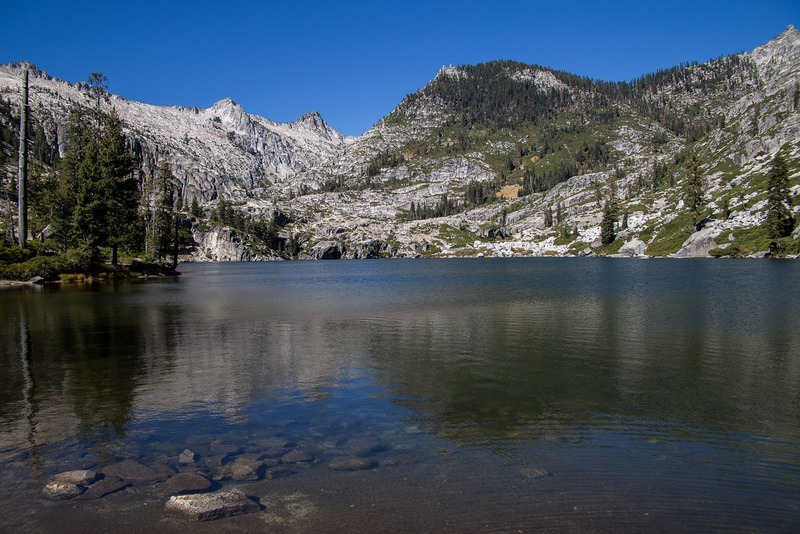 Stay tuned for part two, where we cross the Central Valley to see Lake Tahoe!